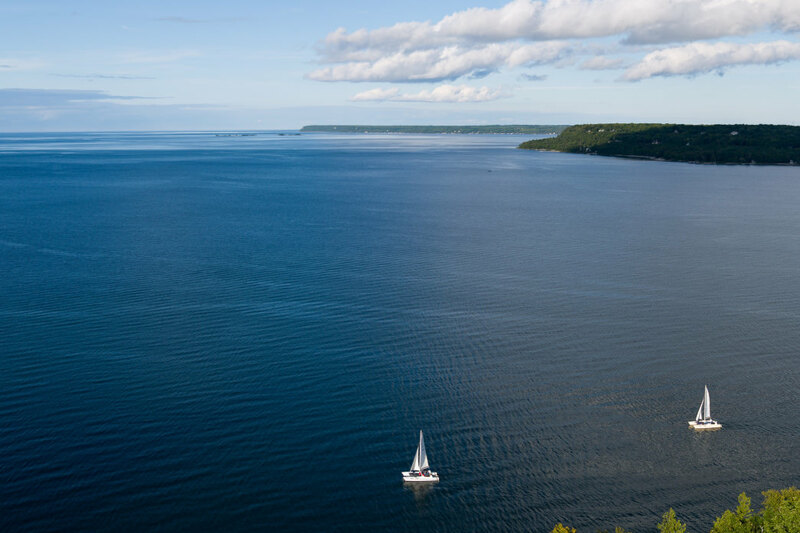 With 300 miles of shoreline—which constitutes nearly a fifth of Lake Michigan’s total shoreline—and near-endless opportunities for both on-land and on-water exploration, Wisconsin's Door County is a special place when it comes to Midwestern outdoor recreation. 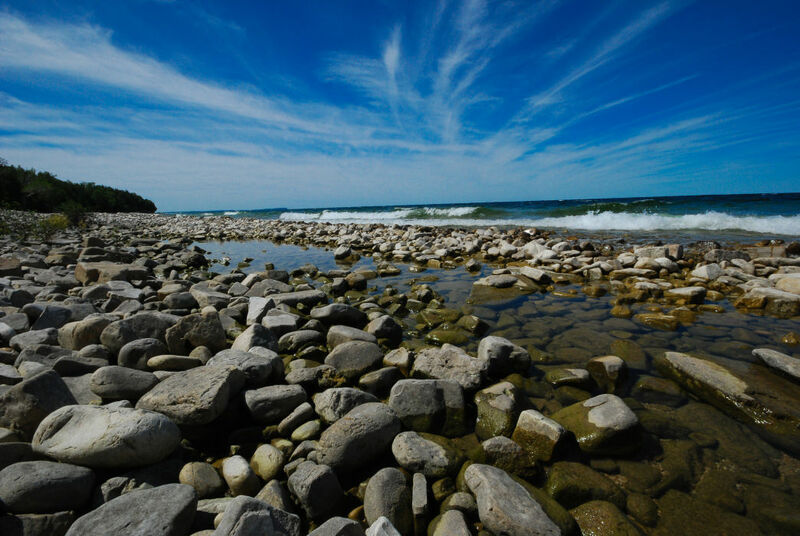 Located less than a gas tank’s drive away from some of the major cities in the Midwest including Chicago, Milwaukee, Madison, and Minneapolis, Door County boasts five state parks, 19 county parks, five inland lakes, and a whopping 53 beaches. Today, many of the shipwrecks can be found along the Wisconsin State Historical Society’s Maritime Trails showcasing the shipwrecks. While some shipwreck sites are accessible by boat or kayak, others are a little more elusive. The first recorded shipwreck in the area was in 1679 when French ship Le Griffon, which was carrying pelts, plunged deep below the waters. Its location today is still unknown. Modern day technology helps ships navigate the waters more safely these days, but there’s still plenty of maritime adventure to be found in Door County. Try these activities to enjoy some classic Door County fun. 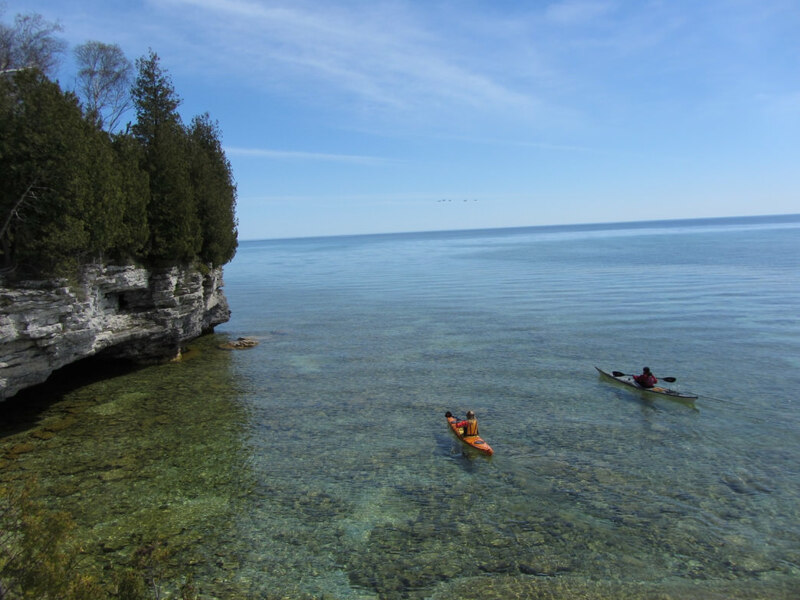 With 300 miles of shoreline, it only makes sense to explore Door County by kayak. The remains of mangled ships from the 1800s dot Baileys Harbor, and a clear-bottomed kayak tour provides a way to peer directly into the wreckage. Some of the shipwrecks are in just 15 feet of water, so looking down from a kayak provides incredible views. Pelicans, cormorants, and bald eagles are also commonly seen in the area (scan the tree tops). 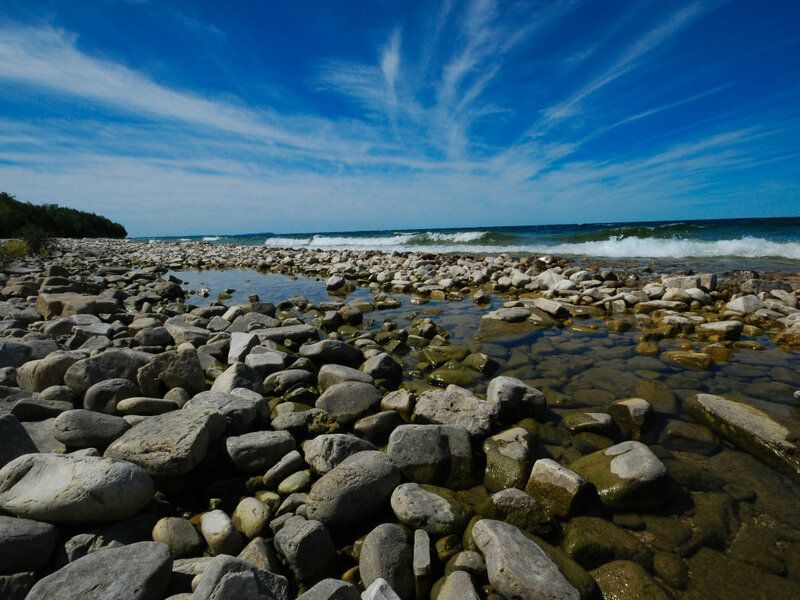 Lake Michigan’s crashing waves have carved caves into some of the limestone cliffs in the area, and kayaking among these heavily eroded marvels are popular for more experienced paddlers. To work both kayaking and hiking into one afternoon, Peninsula Point State Park’s Horseshoe Island is a fun paddle with a 1-mile trail on the island. 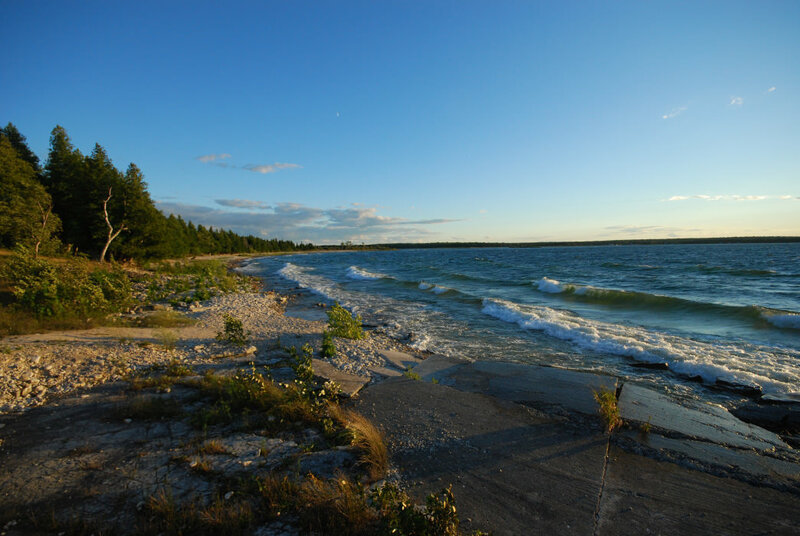 On the eastern side of the Door County peninsula, Whitefish Dunes State Park is home an impressive 14.5 miles of hiking trails weaving among its forests and sands. The Red Trail, in particular, is a nice 2.8-mile hike that leads to the summit of Old Baldy, which is the highest sand dune in all of Wisconsin. The impressive dune tops out at 93 feet above lake level. Enjoy the viewing platforms and consider sampling some of the park’s several other trails as well. For an even more unique experience, Rock Island State Park is located on its own small island northeast of Washington Island. The ferry to Rock Island only takes pedestrians since wheeled vehicles are not allowed on the island. 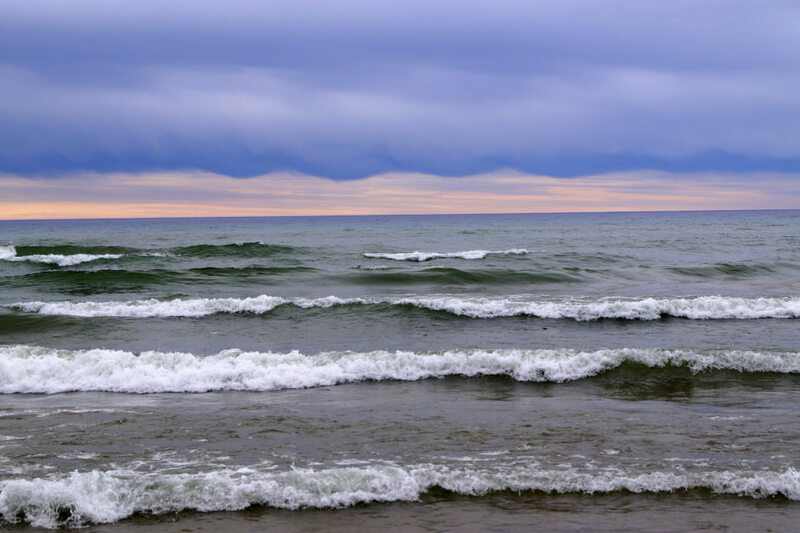 Some visitors prefer to travel to the island on their own boats, but Lake Michigan’s treacherous reefs and frequent storms can make marine travel hazardous... after all, there are hundreds of shipwrecks nearby for a reason! The 912-acre park has hiking trails, beaches, and is home to the state’s oldest lighthouse, Pottawatomie Lighthouse. Established in 1909, this park is a gem of the local outdoor recreation scene. The Eagle Trail follows a trillium and thimbleberry-lined path alongside Eagle Harbor for incredible views, and it offers a bit of a challenge with a few steep and rocky sections. The 10-mile wheelchair accessible Sunset Trail is open to walkers and bikers and wanders through Weborg Marsh as well as cedar and maple forests. In the evening, the Northern Sky Theater comes to life in the park with live outdoor theatrical performances throughout the summer. Just across a passage of water known as “Death’s Door,” Washington Island offers a different kind of Door County adventure. No roads reach the island, so visitors must ride the Washington Island Ferry which runs year-round to transport people (including the island’s 700 residents) and vehicles between the peninsula and island. With 80 miles of paved roads, biking is a popular way to get around, and fishermen seek out record-winning smallmouth bass nearby, as well as Northern Pike and salmon. With so much shoreline and a rich sailing heritage, fish is on always on the menu in Door County. 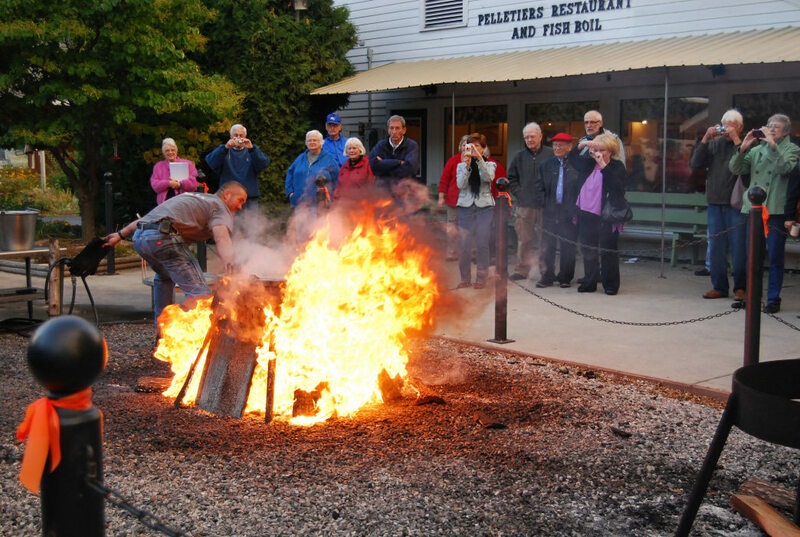 Traditional fish boils let visitors take a glimpse into times past, as costumed storytellers share local lore and legend as they prepare a whitefish feast over a bubbling fire in a manner similar to how early settlers once cooked. For the fish-wary diner, most fish boil establishments offer a few other entrees in addition to whitefish. Al Johnson’s Swedish Restaurant is a local institution located in Sister Bay. Real live goats graze on the restaurant’s slanted sod food, and costumed servers inside dish up Scandinavian fare, including Swedish pancakes with lingonberries. Door County is also known for its 2,500 acres of cherry orchards, and it's no surprise that cherry-related fare like jams, salsas, and pies are on most every menu.